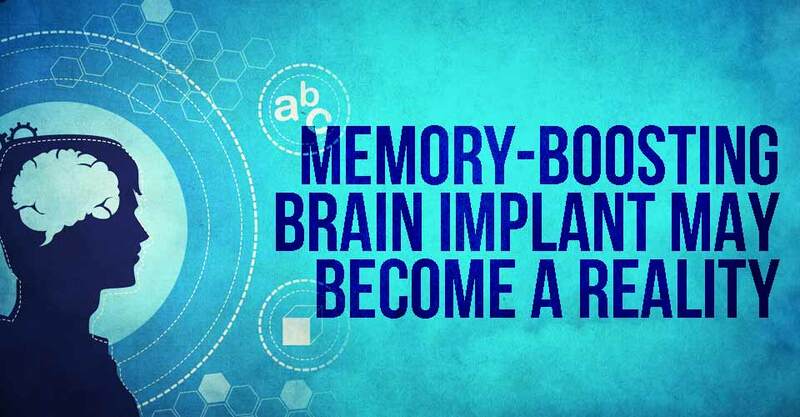 Imagine if boosting you memory was as simple as sliding a microSD memory card directly into your brain. If scenes from the sci-fi movie Johnny Mnemonic just popped into your head, you’ll be amazed to know that this seemingly far-fetched idea might be a reality before you know it. Dr. Theodore Berger, a biomedical engineer at the University of Southern California, is working on a DARPA-funded project that is testing a medical implant that can mimic the kind of neural processing that happens in our brains when we store long-term memories. So far, the implant has shown promise in lab rats, monkies, and is now being tested on humans. After years of research, Berger and his team found that there is a flow of electrical signals within the hippocampus that is the key to what our brains record as a memory. Within our hippocampus, there is an electrical impulse that travels from the “input” or CA3 region to the “output” or CA1 region. When people have a brain impairment, those electrical signals get disrupted, causing a loss of memory and the ability to record new memories. Berger’s theory of being able to create a mathematical model to manipulate memory is based on which neurons fire at each phase of the learning process. The problem that he encountered is that neural pathways don’t adhere to linear math models. So the team started with the task of getting a brain to accept an implant as an addition memory module in the brain. Berger’s team trained rats to push one of two levers to get a treat and they recorded the neural responses as the rats learned which lever to push, specifically the CA3 to CA1 activity. As the rats learned the team recorded the activity and used it to program an external memory chip with the electrical impulse data. Then, the rats were given a drug to impair their abilities to recall memories, and electrodes were placed in their brains to stimulate the hippocampus with the recorded electrical data. The results were amazing. With the drugs, the rats completely forgot the reward system that they had learned, but when the hippocampus was stimulated by the external memory module they remembered it. Berger went on to test his theory with monkies, and got similar results. Now, Berger is using what he has learned to boost memory function in humans. His team started with volunteers that already had implants in their brains to predict epileptic seizures. Because epileptic seizures also damage the hippocampus, these patients were ideal for testing Berger’s memory implants. The participants were given a series of pictures to memorize and asked 90 seconds later which ones they remembered. The researchers again recorded the activity between CA3 and CA1 and were able to create a human-specific memory algorithm. That algorithm was able to predict memory functions about 80% of the time, so it is a huge step into creating the same type of memory algorithm that was successful on rats and monkies.